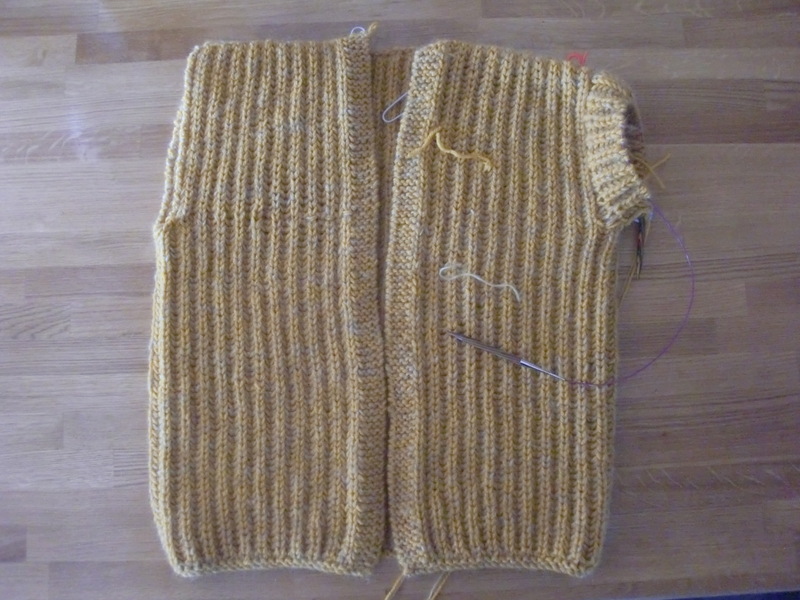 As for my progress with my yellow ‘lavender jacket in blue’ cardigan, I have finished the main body and have sewn up the shoulders. It looks ok, but only ok (not that I am a perfectionist, you understand). 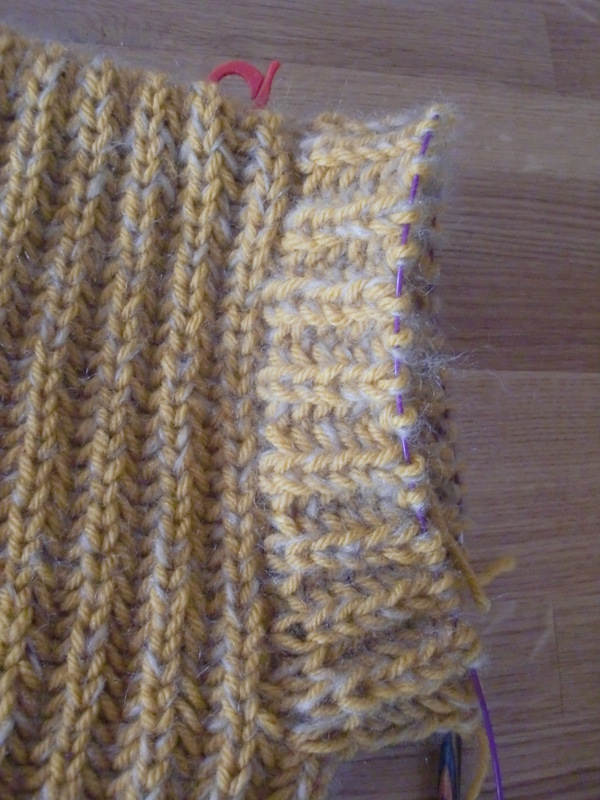 I have no idea how to successfully graft two bound off sections of brioche stitch together and there were no suggestions on the pattern notes. I have had a few issues getting my head around the pattern when it comes to knitting the sleeves. It does annoy me when you pay for a pattern, only to be left bemused by what it is telling you to do……pick up stitches around the armhole and then knit backwards and forwards…..is that even possible? Anyhow I have made a start on the first sleeve and have checked my yarn situation. Thankfully it looks as though I will have plenty left to get the project done. I just need to decide whether to go for 3/4 length or full length sleeves….